Durable and waterproof, with a handy slipcase and an easy-fold format, Lonely Planet Kyoto City Map is your conveniently-sized passport to traveling with ease. 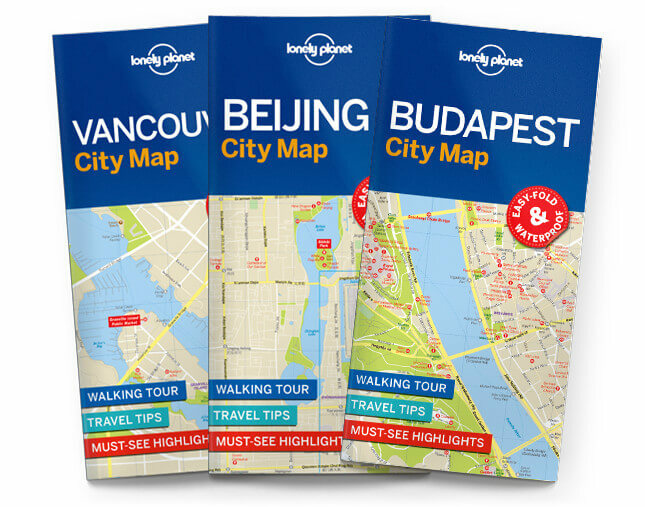 Get more from your map and your trip with images and information about top city attractions, walking tour routes, transport maps, itinerary suggestions, extensive street and site index, and practical travel tips and directory. With this easy-to-use, full colour navigation tool in your back pocket, you can truly get to the heart of Kyoto, so begin your journey now! Check out Lonely Planet Kyoto city guide, our most comprehensive guidebook to the city, covering the top sights and most authentic off-beat experiences. Or check out Lonely Planet Pocket Kyoto, a handy-sized guide focused on the can’t-miss experiences for a quick trip. What is a City Map? Our durable and waterproof City maps come in an easy-fold design held inside a handy slipcase. Detailed and easy-to-read, they’re printed in full colour to make travelling and trip planning a breeze. Made for the urban explorer, each map is packed with top sights, expert advice, a transport map and a useful street index.